The 2014 Bulky Waste Round Up is scheduled for Saturday, June 21, from 8:00 am to 2:00 pm at four drop-off locations in Whitfield County. During the event Whitfield county residents may properly dispose of or recycle bulky waste without paying transportation fees. The main location is the Old Dixie Hwy. Landfill and Convenience Center at 4189 Old Dixie Hwy. S.E., in Dalton. Additional locations are the parking lots for Westside Middle School, North Whitfield Middle School, and the old Eastbrook Middle School gym parking lot facing Hill Street. Bulky waste refers to items that are too big for a typical household garbage can, like furniture and appliances. Each of the four drop-off locations will be accepting bulky waste such as mattresses, box springs, sofas, couches, indoor furniture, appliances, baby or child car seats, bookshelves, large plastic toys, grills, swing sets, gym equipment, plastic swimming pools, patio furniture, basketball goals, and scrap metal. Electronics to be collected at each location include items like laptop and desktop computers, MP3 players, video game systems, digital cameras, video recorders, DVD players, cellphones, smartphones, scanners, printers, tablets, current television sets, and eBook readers. Items that are not accepted at the three school locations include tires, home remodeling debris or waste, and household hazardous waste. Those items need to be delivered to the Old Dixie Highway Landfill and Convenience Center location during the event hours. Tires will be charged the regular recycling rate that starts as low as $2.00 per tire for passenger vehicles. Home remodeling debris can be properly disposed of for at the special rate of 1 cent per pound. Household Hazardous Waste, which includes items such as household pesticides, swimming pool chemicals, varnish and latex paints, can be dropped off free of charge. For more information about each category visit www.DWSWA.org, call 706-277-2545, or 706-278-5001. If you are unable to attend the event this year, please note that Household Hazardous Waste is accepted at the Old Dixie Hwy. Landfill and Convenience Center on the third Saturday of each month from 7 am to 2 pm. Electronics, scrap metal, and bulky waste are accepted year round for no charge at the same location, Monday thru Friday 7 am to 6 pm, and Saturday 7 am to 3 pm. Three additional Convenience Centers in Whitfield County also accept tires and bulky waste year round with applicable fees. No matter what you need to drop-off or when, don’t forget to secure your load for cleaner roads. Tie down and put a tarp on items placed in the back of a pick-up truck or trailer. Keep Dalton-Whitfield Beautiful, the Dalton-Whitfield Solid Waste Authority, and Whitfield County Public Works organize this annual event. For more information or to volunteer, call Keep Dalton-Whitfield Beautiful at 706-226-6211, or e-mail lswafford@dwswa.org. 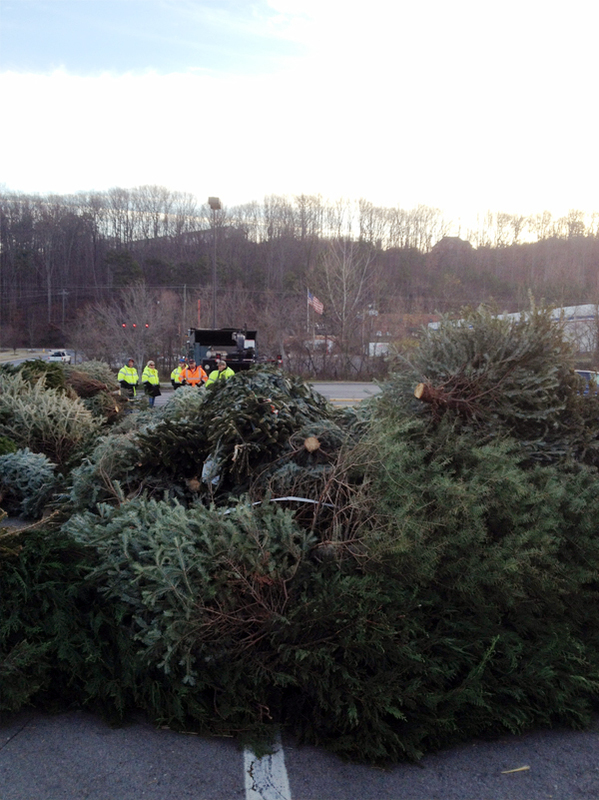 Christmas trees will be collected at The Home Depot in Dalton along with electronics during Keep Dalton-Whitfield Beautiful’s annual treecycling event. The next event will be on Saturday, January 4, 2014 from 9:00 am to 1:00 pm. Residents are invited to start their new year fresh by recycling their live Christmas tree and dropping off used electronic devices for recycling at the community’s annual “treecycling” event. On Saturday, January 4, 2014 Keep Dalton-Whitfield Beautiful volunteers will be collecting live, natural, undecorated Christmas trees, and electronic devices for recycling. The annual collection event will be held from 9:00 am to 1:00 pm at The Home Depot parking lot located at 875 Shugart Road in Dalton. Used electronics accepted include computers, digital cameras, video cameras, cell phones, gaming systems and components, mp3 players, scanners, and laptops. 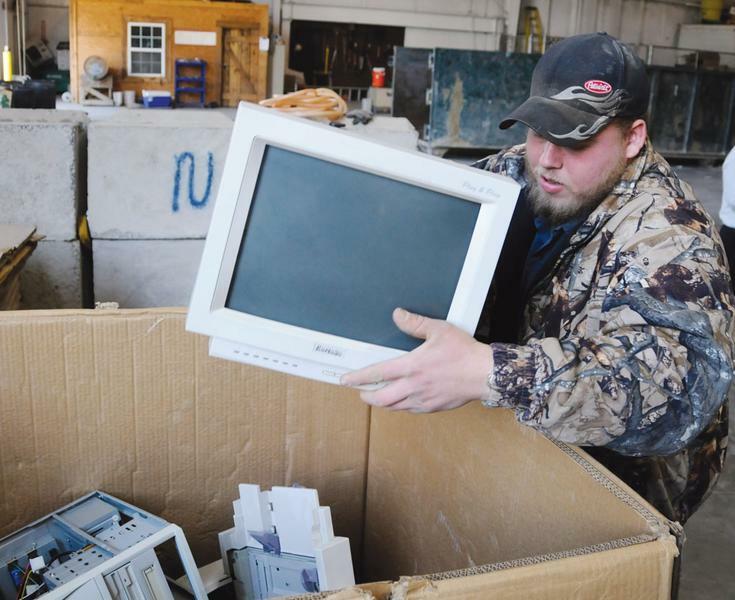 There is a fee of $5.00 per item for the proper recycling of television sets, and computer monitors. All other electronics can be dropped off for free. Electronics will be processed by Reworx Recycling, which is part of the Tommy Nobis’ Foundation program NobisWorks. Please remember to secure your load for cleaner roads. Tie down and put a tarp on items placed in the back of a pick-up truck, trailer, or on the roof of a vehicle. Keep Dalton-Whitfield Beautiful would like to thank the following organizations for making this event possible: Dalton-Whitfield Solid Waste Authority, Reworx Recycling, Whitfield County Public Works Department, and The Home Depot in Dalton. For more details about the event visit www.KeepDaltonWhitfieldBeautiful.org or call 706-278-5001. DALTON, GA – Community Pride Day during the Great American Cleanup will be on Saturday, April 16 from 8:00 am to 2:00 pm. Community Pride Day facilitates Spring Cleaning by inviting Whitfield county residents to dispose of bulky items and electronics without paying disposal fees at select drop-off locations. The Old Dixie Hwy. Landfill and Convenience Center is the Main Location for this event. Community Locations include three middle schools, Westside Middle School, Eastbrook Middle School, and North Whitfield Middle School. To download the event ad, click on the image to the left. All four locations will be accepting bulky items for disposal and electronics for recycling. Bulky items include furniture, household equipment, and appliances. Electronics include computers, digital cameras, cell phones, printers, scanners, and laptops. There is a limit of one television accepted per vehicle. Small electronics collected this year will benefit the 2011 Relay for Life of Whitfield County. The Old Dixie Landfill and Convenience Center is the only location accepting Household Hazardous Waste (HHW) that includes household pesticides, pool chemicals, varnish and latex paints. For a complete list of HHW please visit www.DWSWA.org or call 706-277-2545. Community Pride Day is open to residents of Whitfield County only. Only residential or household waste will be accepted. No business, commercial, construction or demolition waste is accepted. Tires are not included in this event and should be disposed of at a Convenience Center for a minimal fee. Household hazardous waste and tires will not be accepted at the school locations. If you are unable to attend the event this year, please keep in mind that Household Hazardous Waste is accepted at the Old Dixie Landfill and Convenience Center on the third Saturday of the month from 7 am to 2 pm. Electronics are accepted year round at the same location, Monday thru Friday 7 am to 6 pm, and Saturday 7 am to 3 pm. Staff member at the recycling center loads a monitor into a gaylord box for electronic waste recycling collection. Toss out that broken mouse in your desk drawer. Throw away that old printer you haven’t used in years. The Dalton-Whitfield Regional Solid Waste Authority, Keep Dalton-Whitfield Beautiful and Atlanta Recycling Solutions are hosting an “e-waste” recycling event on Saturday from 9 a.m. to 3 p.m. in the Home Depot parking lot off Shugart Road. “We’ve had a big increase in people calling wanting to recycle their old electronics, so we are really doing this at the citizens’ request,” said Bridget Sanford, director of recycling programs for the solid waste authority. Residents can bring old computers, fax machines, telephones, video games, copiers, digital cameras, VCRs, shredders, microwaves, calculators and other electronics and drop them off free of charge for recycling. They can also bring TVs, but there will be a $10 charge to take those. Sanford said that’s the fee charged by the company that recycles electronics for the solid waste authority. “That’s the only thing we have to charge for. TVs, there just isn’t enough recyclable material in there,” Sanford said. Residents are asked not to bring smoke detectors, household appliances and car batteries. If you can’t make it Saturday, don’t worry. Recyclable electronics can be dropped off Monday through Friday at the solid waste authority’s recycling center at 4189 Old Dixie Highway. Again, there’s no charge for computers and such, but there’s a $10 charge for old TVs.